Pawn to king 4. Last Tuesday, Bryant Park was a chess fest. Young and old, seasoned and novice players sat head in hands contemplating plastic pieces on the checkered mats. You could hear a pawn drop. Some, like Jay Bonin and Asa Hoffman, were guys I knew back in the day when I was dating my husband, Bob Salpeter, a player who would haunt the clubs like the Marshall, a sponsor of this event. For me, a chess widow, this event was a reminder: in the game of chess, the queen has all the power, but the king is the prize. The afternoon was also sponsored by HBO, which on June 6 will premiere a documentary directed by Liz Garbus about Bobby Fischer, perhaps the best and most famous chess player ever, with perhaps the most captivating biography, which makes him the ideal subject for cinematic scrutiny. Featuring the photography of Harry Benson going back to the historic 1972 match in Iceland when Fischer played the Russian master Boris Spassky, the film shows how Fischer made chess famous as a pastime and sport, even for those who never played, and is also fascinating for the wife of a chess player with issues. Meeting Liz Garbus, I particularly wanted to know whether she, like me, suffered similar chess neglect, how she became interested in this subject. But no, on the way to the Sundance Film Festival on January 18, 2008, she read Fischer’s obituary — he had died the day before, at age 64, exiled in Iceland. Intrigued, she got to work immediately seeing how she could move ahead with a documentary portrait. 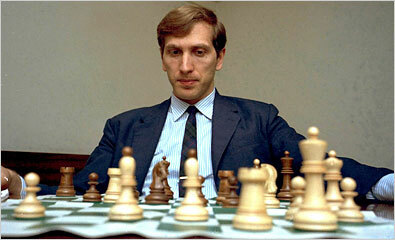 The result, Bobby Fischer: Against the World, is now being celebrated. Later that evening, the HBO screening room was packed: Robert Kennedy, Jr. attended with Cheryl Hines, Sofia Coppola, Sandra Bernhardt, Lauren Hutton, Garbus’s dad Martin Garbus, Griffin Dunne, Clive Davis, Judd Hirsch, Malcolm Gladwell, Robert Hess, Susan Polgar. Henry Kissinger has a pivotal scene in the film: when Fischer, publicity shy, seems to have disappeared just before boarding the plane for Reykjavik, the tension mounts. Kissinger calls and says, and this got a big laugh from the crowd: GO! Afterwards, the party continued at Forty-four at the Royalton. Actor Josh Mostel, a committed chess player, regaled us with stories from the Manhattan chess world, including one about the actress Sylvia Miles, how everyone gathered around this ultra womanly woman when she would play. She just didn’t have the profile of the typically chess obsessed. Game Description:Coverage of the Tata Chess Classic, 2011 in Wijk Ann Zee – a fantastic chess tournament that appears to be on the ropes for 2012 due to sponsorship issues. Wijk Ann Zee has always been a great tournament, and this year was no exception. This game covers a round 7 matchup between Norwegian wunderkind Magnus Carlsen as White (the World’s Highest Rated Player) and Hikaru Nakamura (the Americas’ Highest Rated Player). Both players have been considered as extremely bright prodigies throughout their somewhat short careers, and their games are typically highly entertaining. This game was no exception as Carlsen played a sharp sideline as part of the Be2 set-up for white against the Najdorf. Nakamura had trouble stirring up counterplay, and Carlsen ended the game with a deflectory pawn sacrifice followed by a decisive bishop sacrifice to destroy black’s defenses. Great game by Carlsen. To see the original article of Magnus Carlsen vs. Hikaru Nakamura at the 2011 Tata Steel Chess Tournament click on the link, which includes the PGN. Following the success of previous editions, Castilla y Le?n television will provide extensive coverage, including live connections. Each player will have 45 minutes per game plus 30 seconds increment after each move. Win A Chance To Play A Grandmaster! The new Fischer biopic “Bobby Fischer Against The World” has had its premiere in the US, and will be broadcast on HBO on Monday 6th June. Further details about the film can be found here. The system debate and how to change it? Right after the Candidates matches a public debate on the system, coverage, and organization of the WCC cycle was opened. Many chess professionals and enthusiasts gave their opinion on the subject, we present you in chronological order the ones of Silvio Danailov, Georgios Makropoulos, Susan Polgar, Mark Crowther, and Kevin Spraggett. 1. So far we have 27 draws out of 29 games in classical chess, about 95% (!!). Many of these draws were very short – 12,15,18 etc. moves. Even in rapid games we have draws in 8 (!!!) moves. This is shame and disaster for the image of chess and FIDE. The question is, why didn’t the WCOC introduce the Sofia Rules on time? 2. Some of the players were making short draws on purpose, in order to decide matches in rapid chess or blitz. But the point is that if we have WCC in classical chess, why should we decide the matches in blitz? Knowing very well from the past experience that the KO system leads to and tempts with that, why does the WCOC recommend it? 3. The PR results of Kazan are very poor. With probably small exception of Russia, there doesn’t appear any interest from international Press for this event. This also hurts chess and FIDE. Conclusion: The WCOC who is responsible for this system failed, and should resign immediately. The FIDE PB should appoint new WCOC on next meeting in Al Ain in order to avoid before mentioned mishaps and to improve the situation in the future. With great surprise we read the announcement of Mr Silvio Danailov on 25 May, accusing the members of the FIDE World Championship Committee as being responsible for the high percentage of …draws(!) in Kazan. A non-chess reader would really wonder whether the members of the World Championship Committee were the ones playing in the Candidates Matches. Once more Mr Danailov shows no respect to the top players, we hope under his competitive capacity of a player’s manager and not that of ECU President. If it wasn’t for Mr Danailov ‘s dual role as President of ECU and manager of top players, no reply would have been necessary to this incredible announcement, as its content speaks by itself for the poor quality of his arguments. Everybody in professional chess knows very well that if two grandmasters desire during the game to draw it, there is no way to force them not to. 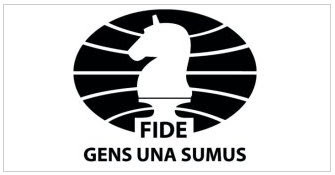 FIDE has valuated various ideas in the past (for example the “no draw offer before move 30″ or the so called “Sofia rule”) but the truth is that applying such regulations to a World Championship Cycle needs further input from the top players and their national federations. Mr Danailov should understand that chess players cannot be whipped to dance to his tune, especially those fighting for the World Championship title. FIDE is in the process of conducting discussions for future improvements on the format of the cycle and the announcement of Mr Danailov came immediately after receiving such a questionnaire (in his capacity as Veselin Topalov’s manager) from FIDE WCOC member Emil Sutovsky. A couple of weeks ago Mr Danailov also announced his intention to run for FIDE President in 2014. Seeing the opportunity to promote his own political agenda, Mr Danailov abused his position as ECU President and FIDE’s desire for feedback from its top players, to attack through his reply whom he views as “political opponents”, instead of participating constructively in the on-going dialogue for the future World Championship cycles. Mr Danailov has not understood yet that he has been elected to the position of ECU President, with a monthly salary accompanying it, in order to serve all European chess players and not only his future political ambitions in FIDE. We therefore ask Mr Danailov to participate in the dialogue initiated by the World Championship Committee in a productive manner as nobody else is sharing his rush to connect everything with the FIDE elections in 2014. We also confirm once more that the interests of all top players are protected by FIDE, of course including those of Veselin Topalov. In the past few days, thousands of chess fans gave their opinions about the recently concluded Candidates’ Matches in Kazan. The main complaint was there were too many draws, over 90%. Even the President of ECU, Mr. Danailov, and the Deputy President of FIDE, Mr. Makropoulos, spoke out about this issue. As someone who competed in Candidates and World Championship matches, Chess Olympiads, and as an organizer of major tournaments in the United States, I am looking at this serious issue from both sides of the coin. As an organizer, it drives me crazy to spend so much money and time to organize prestigious events to see short draws. It is also nearly impossible to explain it to the sponsors, donors, and chess fans. I do not like it at all. This is why in the last SPICE Cup, I instituted the 3 point for a win / 1 point for a draw system, in addition to no draw offer before move 30. Because of this, the 2010 SPICE Cup was more exciting than previous years. Everything came down to the final round. It was a dream for an organizer. For invitational events where the organizers pay excellent conditions to the players, I full support these measurements to ensure exciting chess. Players usually must pay for entry fees, food, hotel, and transportation costs (This is mostly the case in the United States where professional players are usually not very much respected. In fact, they have to even bring their own chess set, board, and clock to tournaments.) when they compete in an open tournament. Once in a while, there may be some small conditions to top level players but this is in the minority. If someone pays their own costs to participate in an open event, who are we to say that he / she cannot offer or accept short draws, especially when their rent money is on the line? It is the difference between being able to pay rent / mortgage versus being homeless, literally! The fans can say all they want but if a player can win $5,000, $10,000, or more by accepting a draw versus getting a few hundred bucks or even nothing if they lose, almost every professional player will take the draw. Their number one obligation is to themselves and their families, not to the fans or sponsors since there is usually none in these tournaments (in the United States). This is the sad state of chess where most professional players struggle mightily financially. This is why so many promising juniors quit chess at an early age, especially in America, because they understand that this is not a way to make a living. National federations usually pay to send their national teams to compete for medals. What is the objective of any team? The answer should be to win medals, especially the Gold medal. I won 10 of them (5 gold, 4 silver, and 1 bronze) playing on board 1. My job was always to put my team in the best position to win. That means playing for 2 results in every game. It is usually up to the team captain to decide on the game by game strategy. So if this is the case, who are we to say that a team cannot offer or accept quick draws if it helps to clinch a medal, especially gold? Now if there is a sponsor for a national team, would that sponsor prefer to see the team win medals or no short draws? What is the objective of the Candidates Matches? To advance to the next match and to eventually challenge the World Champion. Most players dedicate their whole lives for this opportunity. What is the objective of the World Championship match? To win the World Championship crown. This is the ultimate goal for top level professional players. Only a few handful of players accomplish this. A lot of time, effort, energy, and money are spent in both of these types of matches. Every player has a second and sometimes a team of seconds. They work with the seconds long before and during the matches. These people do not work for free. It is a very expensive process and cycle. Every player and every team want to win. In this case, who are we to say how they should win? If a player is really ill and on that particular day, he / she has black. If you are in the same position and for whatever reason, your opponent offer you a draw after 20 moves, would you take it when you can hardly focus or see the board? Or would you say no way because I would be letting my fans down? Again, each player is playing for the ultimate title. Shouldn’t he or she have the right to choose the best path to get to the endgame which is to win the big one? The other side of the argument from the organizers and fans is if players chicken out and play safe all the time, chess will lose sponsors. They have a point too. When you have boring events, the sport will suffer. I agree. This is why we have a stalemate. Some fans suggest that since there is no draw in tennis, basketball, football, baseball, or other major sports, the same thing apply to chess. Again, let me inject the other side of the coin. There is no draw in tennis but some players do tank on purpose. If a player is not comfortable on a certain surface, he / she sometimes give half an effort just to collect the paycheck, rest, and head to the next event. It happened on many occasions between the French Open and Wimbledon. In basketball, football, and baseball, many managers and head coaches rest their starters when their teams already clinched a spot in the playoff. They want to make sure their stars are on their A game when the games really matter. This happens every year. And in the examples I pointed out above, the fans pay good money to see these games where in chess games can be viewed online for free. So what is worse? Taking short draws in chess or giving only half an effort in other sports? I am not trying to defend either position. I merely point out the many different angles of this debate. Boris Gelfand qualified for a World Chess Championships Match against Viswanthan Anand by winning the final game of his match against Alexander Grischuk. Gelfand and Grischuk clearly played the best chess in the event and Gelfand was in the end a worthy winner. Post-Match discussion has centred round the amount of draws in the event. Whilst there is obviously some concern as to whether computer chess preparation is going to completely ruin the game, I think there are some more pressing issues. Firstly, this Candidates could have been the most brilliant event ever and the mainstream press wouldn’t have known. I had thought one of the main reasons of signing a deal with the company “Chess Lane” which happened around the time of the last Olympiad was to promote the World Championship. Instead they seem to have disappeared altogether. So it was up to FIDE. I was caught some Formula 1 TV coverage over the weekend. I find this “sport” tedious in the extreme and don’t have much interest. Indeed what many say they feel about chess. But what they do is market their sport to as wide an audience as possible. We do know there is some appetite still for chess stories in the mainstream media, but FIDE gave their own championship no chance. Because they did nothing. Press kits? Contact mainstream media? Press releases? Anything? Chess has really lived off Fischer and then Kasparov for the approaching 50 years, Magnus Carlsen is making some progress for some mainstream recognition but more needs to be done. All sport is promoted through its players. Kazan did a good job in filming the event, something they clearly do for the many sports they promote. The Candidates was used as a promo for the Universiade 2013. So the World Chess Championship Candidates has now fallen some way below a Universities event in importance, an event I’d never heard of before. Also how can the World Chess Championship be taken seriously when the Candidates and World Chess Championships are seen as something that FIDE need to organise in order not to have a crisis rather than the showcase for the game they should be. To criticise the players when most of them did nothing but prepare for the last 6 months is to miss the point entirely. If you organise a half-assed event with a poor format you’re pretty much asking for a miracle for the players to make it better than it deserves. Matches need to be a lot longer to allow players to take risks (and that also applies to the world championships) and also to start to break the preparation of their opponents. In fact matches need to be longer because that’s the only way they work. What we saw was more akin to the end of a World Cup or the FIDE Knockout a format that has comprehensively failed. As it was the many draws were as a result of the players trying to do the very best for themselves. The entire point of sport. Maybe a Candidates tournament would be a more entertaining format. But this is to take nothing away from Gelfand, I don’t think anyone played better than him in Kazan and his final round win shows the level of preparation he had in his arsenal. If FIDE can get sponsors for the match I think he will give Anand a good run for his money. The great Capablanca (world champion from 1921 to 1927) once proposed changing the rules of chess , including making the board bigger by adding on a couple of rows, arguing that chess was beginning to be worked out a little too much for a board game. While this is an interesting but controversial idea, I don’t adhere to it nor do I see this as being the underlying reason why there were so many draws in Kazen (or in most top-level tournaments for that matter). I think that any match between 2 high level players should demonstrate the difficulty–if not impossibility– in winning game after game: having more draws than decisive games is only logical. After all, how many tennis matches between great players lasts 5 hours or more? While it is true that databases and up-to-date information has made competition in chess tournaments a more balanced field, the nature of the struggle in chess has not changed very much. My own perspective is that most of the safe-playing demonstrated by the top players in Kazen is the result of fear of losing ELO rating points (as opposed to losing the game). Should FIDE allow these top level qualification tournaments/matches NOT to be rated? I think so…I believe that the players would begin to play riskier openings and at the same time no fear losing their international status. Everyone –spectators included–would be satisfied by the result, I think…. The French Defense is a chess opening starting with 1. e4 e6 2.d4 d5. 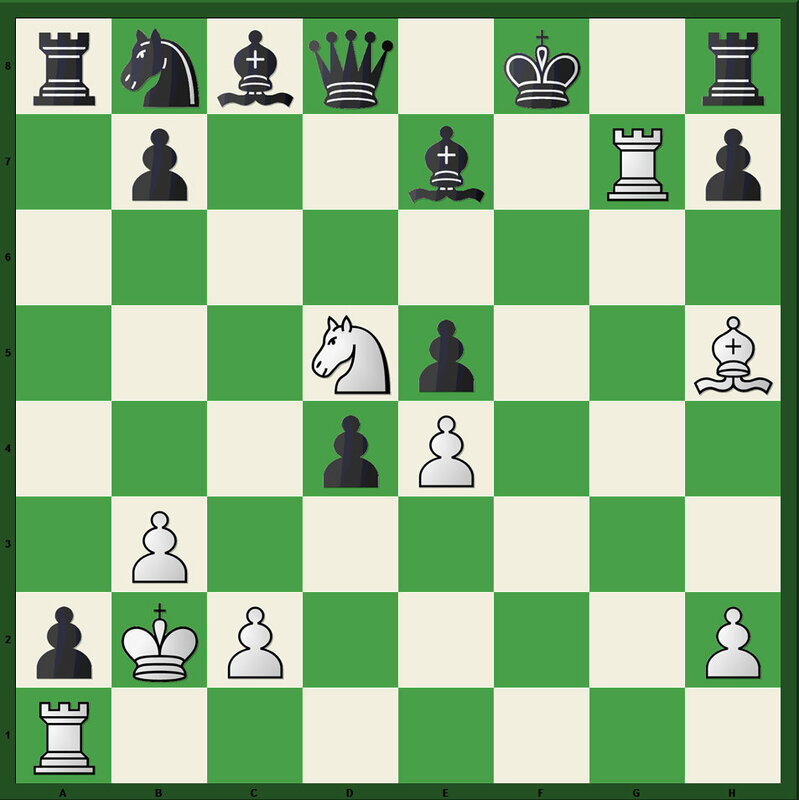 The French has a reputation for solidity and resilience, though it can result in a somewhat cramped game for Black in the early stages. GM Henrik Danielsen shows how the Tarrasch Variation 3.Nd2 can almost always turn into a better pawn structure for white if black makes a small inaccuracy. This move was particularly popular during the late 1970s and early 1980s when Anatoly Karpov used it to great effect. It is still played today by players seeking a small, safe advantage. Thus, the French Tarrasch is one of the main weapons when white plays for two results in club games or matches. Historically important contributors to the theory of the defence include Mikhail Botvinnik, Viktor Korchnoi, Aron Nimzowitsch, Tigran Petrosian, Lev Psakhis, Wolfgang Uhlmann and Rafael Vaganian. More recently, its leading practitioners include Evgeny Bareev, Alexey Dreev, Mikhail Gurevich, Alexander Khalifman, Smbat Lputian, Alexander Morozevich, Teimour Radjabov, Nigel Short, Gata Kamsky, and Yury Shulman. You are currently browsing the Chess blog archives for May, 2011.